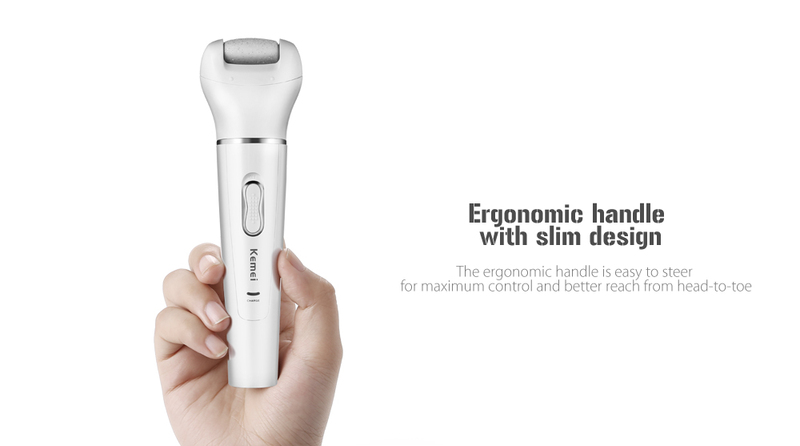 Enjoy the smooth and radiant body skin, no worry about the embarrassing hairs in summer with Kemei Cordless Shaver. 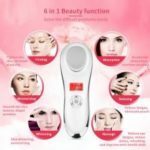 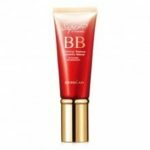 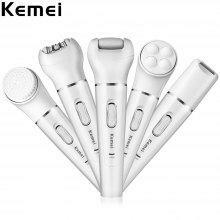 It is the perfect head-to-toe hair removal solution with 4 accessories including a shaving head, body massager, callus remover and skin cleanser. 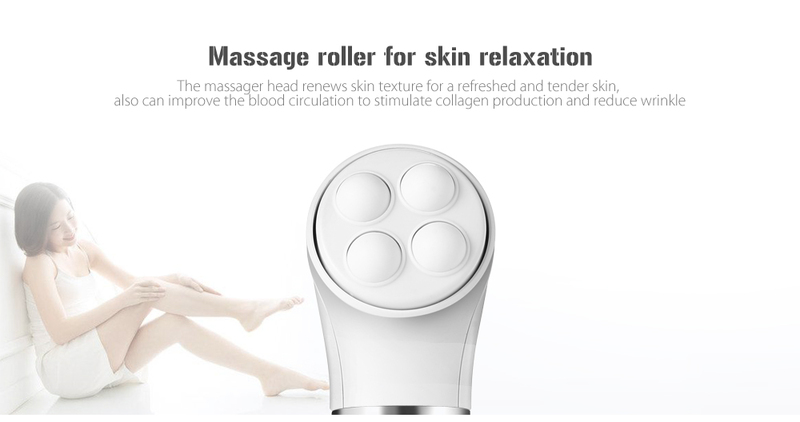 The epilator gives you the effortless hair removal experience for the touchable smooth skin. 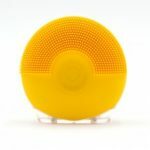 The micro-ridged ceramic discs can firmly grip and remove even the finest hairs from your skin. 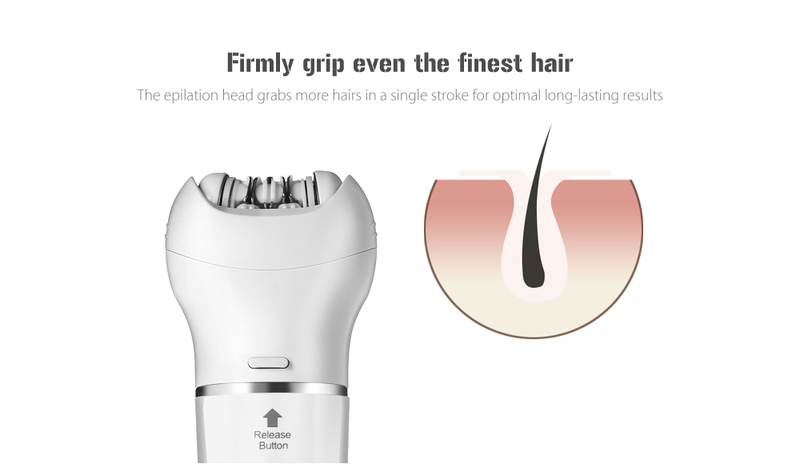 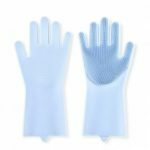 Featuring the sharp head and ergonomic handle, it removes more hair in a single pass, and is easy to steer for maximum control and better reach from head-to-toe. 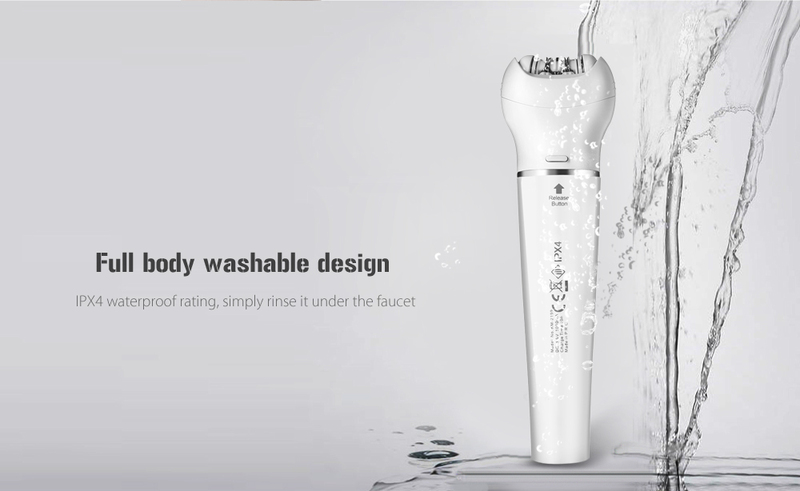 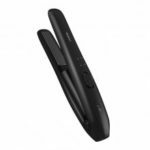 The shaver head is perfect for women to achieve the effortless use and thorough results, especially on sensitive areas. 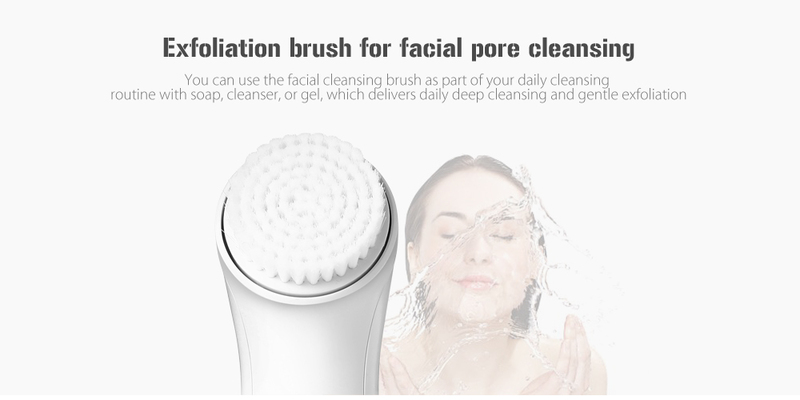 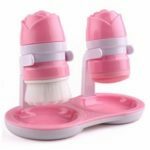 The facial cleansing brush delivers daily deep cleansing and gentle exfoliation; massage roller works for skin tightening and reduces wrinkle; pedicure head removes hard dead skin on the foot. 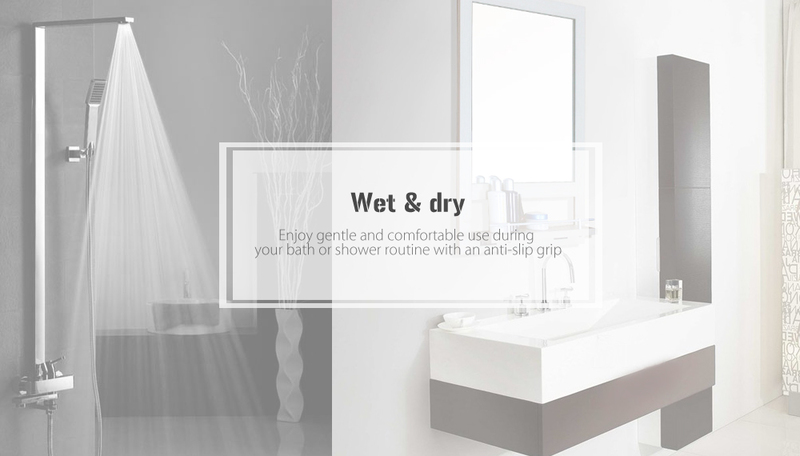 Enjoy the freedom of cordless wet and dry use with Kemei for easy use in the shower or bathtub.